If you’re a Facebook page admin looking to get your feet wet in the world of marketing, PageLever recently launched Minilytics — a FREE app for marketers looking for quick answers to the basic marketing questions of your Facebook pages. If you’re struggling to identify how to get the most value from your Facebook page because you don’t know who your fans are, how to reach them or when to reach them, Minilytics is a great solution. 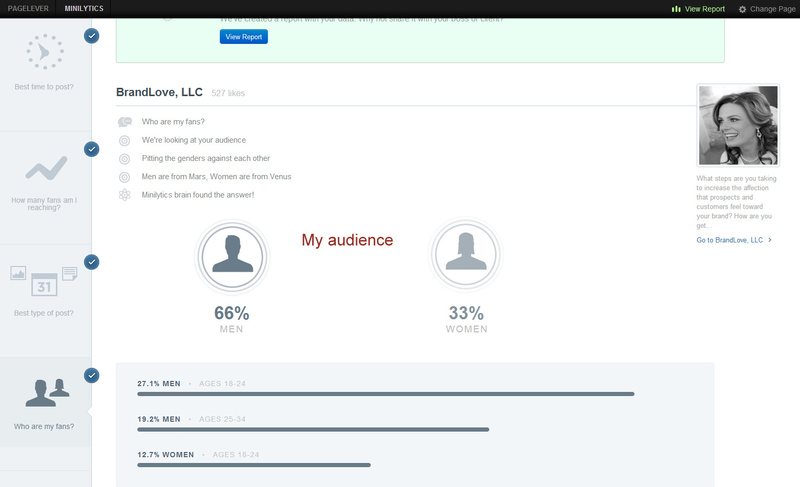 This basic analytic’s tool is a great way to get answers specific to YOUR Facebook pages: your best time to post, the number of fans your posts reach, the most popular kind of content to post for your fans and an analysis of the demographics of your fan base. At the moment, Minilytics provides you with 4 important metrics based on your past performance, to help you adjust your strategy. You should know that the point of this tool is not to dive into deep data but to get a quick overview of how your page content is doing. It’s great for people that want to be aware of their performance but find other analytic services or even Facebook Insights too overwhelming. The tool is completely free and all you have to do is connect your Facebook account. If you’re looking for a more advanced analytics tool, check out the paid version, PageLever. Of course, one of the essential metrics in Facebook Marketing is Reach, or how many people your posts are actually reaching. It is said that the average is around the 20%, which doesn’t necessarily mean you should expect that. The below screenshot represents the performance of BrandLove’s last 7 Facebook posts. My average reach is 40.2% of my fans without any paid advertising. It also shows the mininum reach and maximum reach. “Who are my fans” is basically a quick snapshot and more visual version of the “Who you reached” charts provided by Facebook Insights. With the Minilytics version, you can easily read the gender and age groups. Do you think you’ll be surprised by the results of your fan base? 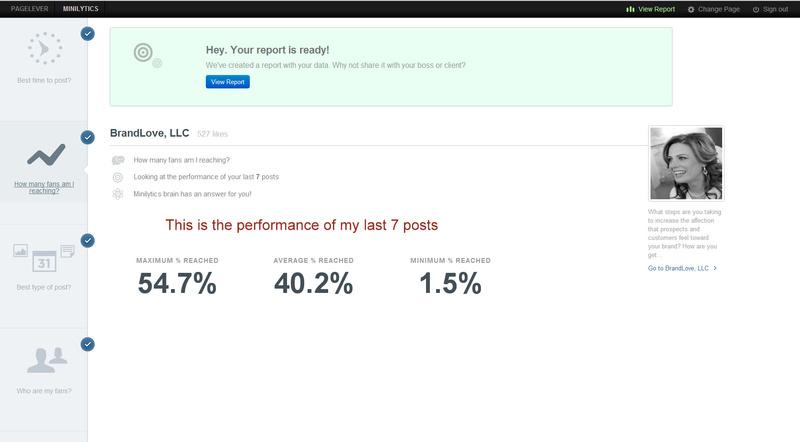 In this case, Minilytics is gathering data from the last 100 posts to analyze what type of post is performing best with your audience. “Type” meaning your media, photos, videos, status or links. If you haven’t posted a certain “type,” maybe you haven’t posted any videos–Minilytics will not have any idea how those types of posts would have performed–so they are ignored for the calculation. On a side note, if you are only posting links at this time, I would highly recommend experimenting with photo’s and video’s since they have the highest reach and are the most engaging types of posts. MTV India found that photo albums increased clicks by 1290%. Seriously. 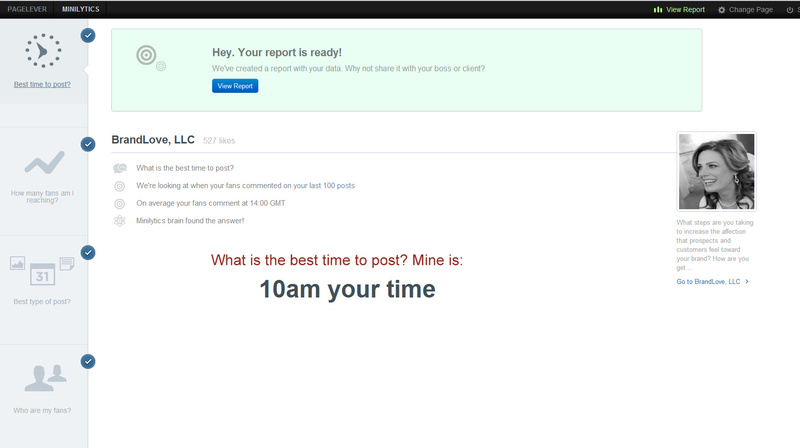 Minilytics calculates this report based on the time when your Fans commented in your last 100 posts. This is valuable information if you’re looking to find premium times to post your updates. 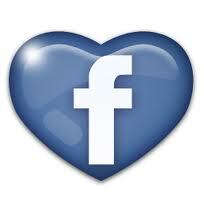 After all, your Facebook business page should be all about engaging with your fans, right? You also have the option to print, download or get a link for your report. For some reason, there was an error with my report so I couldn’t capture a screenshot of the actual report. A great tool! This will help everyone see both what they are doing right, and where there is room for improvement.